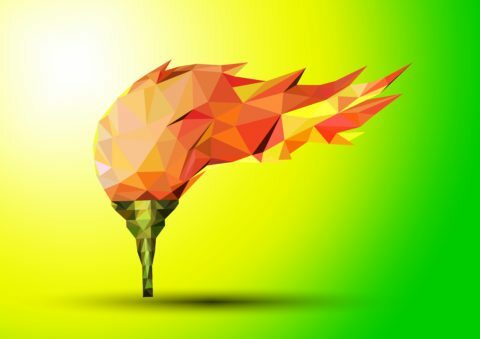 In the spirit of the Olympic games in Rio, we’ve constructed our own version of a mini “Email Olympics!” Over the course of the next two weeks, we’ll be comparing (and judging) three emails to see whose email marketing is worthy of the podium. 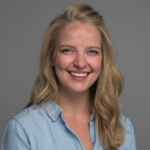 Our Content Marketing Intern, Lauren, took on the challenge of creating original, marketing emails (with our email marketing feature set, Marketing Campaigns) that will act as our Olympic competitors. Over the next two weeks, we’re going to judge each email based on specific event criteria, and assign each a medal (gold, silver, or bronze). The Inbox Impression – This is if (or how) the email stands out in the inbox. Criteria considered for this event will include: from address, subject line, and pre-header text. Essentially, will the email get noticed and earn a click? The First Glance – Now that the user has clicked through, will the email pass the 5 second test? Or will they lose them right away? This round, we’ll take a look at format, design, and branding. The Message – We will look at the actual content of the email in this event. We’re analyzing the “meat” of the email including images, written copy, and if it does or does not fulfill what the recipient would expect from the subject line. The Next Step – Finally, we’ll determine how well the email sets the recipient up to take the action the sender is asking them to take. This event is judged off of the links included and main call to action (CTA). *Disclaimer: These marketing emails were created for fake businesses, any likeness to an existing business is purely coincidental. Tillas sandals is a popular online retailer that specializes in selling, you guessed it, flip flops. 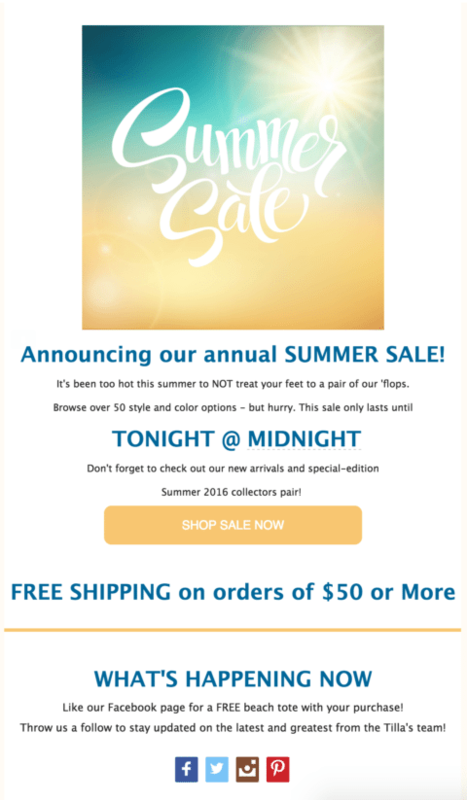 The email below is a sales announcement to get users shopping! This business is using their email marketing to push users to their site to (ultimately) make a purchase. 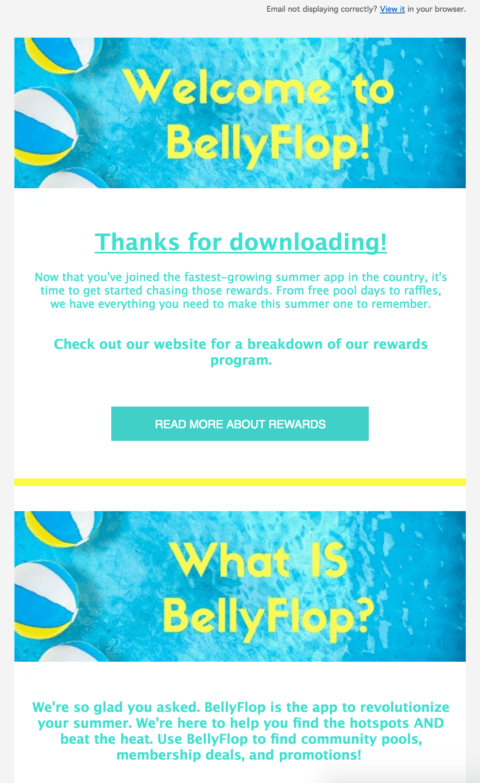 BellyFlop is an app that helps users find pools, discover membership opportunities, and discover discounts to help them beat the heat during the summer. The message below is a welcome email and is meant to thank new users for downloading, share additional information about the app, and urge them to learn more about the rewards program. 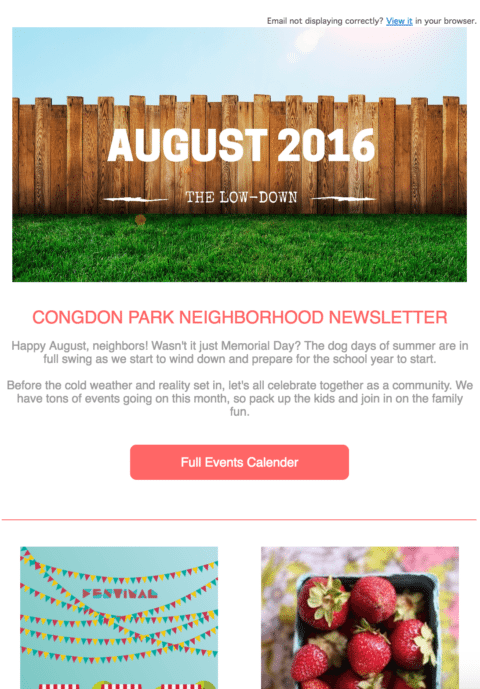 Congdon Park is a neighborhood known for its active, family-filled community events. This newsletter (sent by the neighborhood Homeowners Association) focuses on informing the community of upcoming events and encouraging attendance to those events. Tune in next week for the first event, The Inbox Impression. If you just can’t wait for the series to start and need a little email marketing inspiration right this minute, check out our Email Marketing Survival Kit. Otherwise, let the games begin!